Tuesday, March 6 , 2018 at 7:00 PM – Quail Ridge Books. Ill be there with the super cool Maggie Stiefvater. We might be talking books, cars ( I hear she has a race car) , what’s happening in the second phase of Project Nemesis, and everything in between. You wont want to miss out! 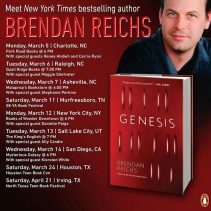 Receive a signing line ticket with an order for Nemesis (book 1 comes out in paperback in February) or Genesis (releases on March 6). 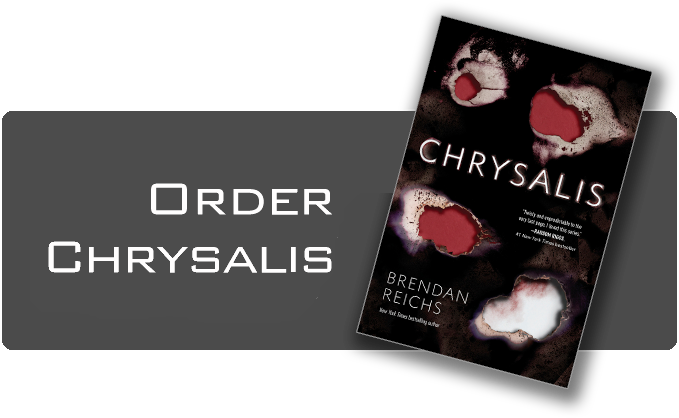 Chrysalis Book Tour- All good things come to an end! Meghan Hatfield asks: You Nemesis book seems to be doing well! I haven’t read it, and I have A LOT of books to read, but it is on my list! I was wondering if you were going to stick to what you originally stated that if it did well enough, you would write another Virals book? I absolutely LOVE that series, and I got my sister into it. I would love to see another book! I read the short stories, but I want to see where it goes from there! Claudia asks: I read your book Nemesis, and it was amazing. Do you believe in any conspiracy theories? Your book talks about a goverment conspiracy. So I was wondering if you believe any conspiracy and which ones? Laura asks: Hey Brendan! 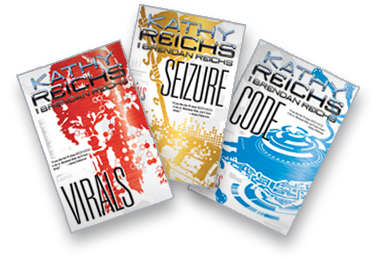 Like everyone here, i’m a HUGE fan of your series, the virals (though i havent had the chance to read nemesis yet) and so I’m doing a school project on you! The problem is, I can’t find anything on you (even a birthdate!) and I was wondering if you could help me out by sharing a fun fact about yourself. It would help a ton and I’d get to know one of my favorite authors a little more! Thank you so much and keep up the good work! Rachel asks: I recently finished ‘Nemesis’ and loved it, especially the original ending. As an aspiring author, what advice would you give? I am published online but not completely professionally. I personally feel like my writing ability has dropped in the past year. Thank you! Madeline asks: Hi Brendan! I wanted to just start this off by saying I love all of your books (I loved the Virals series, and I just finished Nemsis about two hours ago). I met you once at YALLFest too and it was great! I was just curious about the inspiration of the plots for your books. You usually always have some sort of mystery, but they vary so much from book to book I was wondering how you usually think of each scenario. Also, once you have an idea for a mystery (or a conspiracy), do you figure out all of its details before starting or discover some along the way with the characters? Thanks!